In 1947, in the final years of his life when he resolved to give up lecturing at Cambridge University, the philosopher Wittgenstein introduced a theme which would come to occupy him for the next two years. In his final lectures he introduced the famous duck/ rabbit illusion, an image which allowed Wittgenstein to discuss the act of seeing. There is a huge element of ‘duck-rabbit’ in a chart such as this, especially when you consider that this is the result of many different members’ attempts to articulate their ‘seeing connections’. In a large organisation, either private or public, profit making or NGO, one of the greatest challenges is to align people’s seeing, developing coherence across departments, units and less-formal silos. 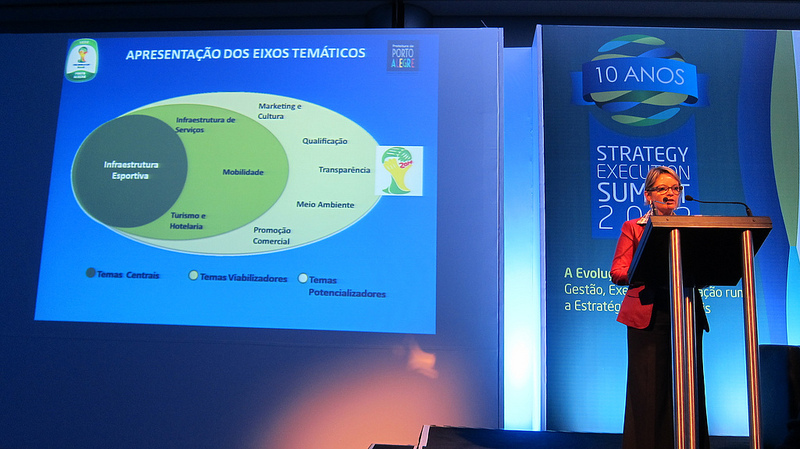 At the summit there were a large number of case studies of how organisations had achieved this coherence, and of course the use of a tool such as a strategic map, and the process through which people go through in order to develop it, is vital. 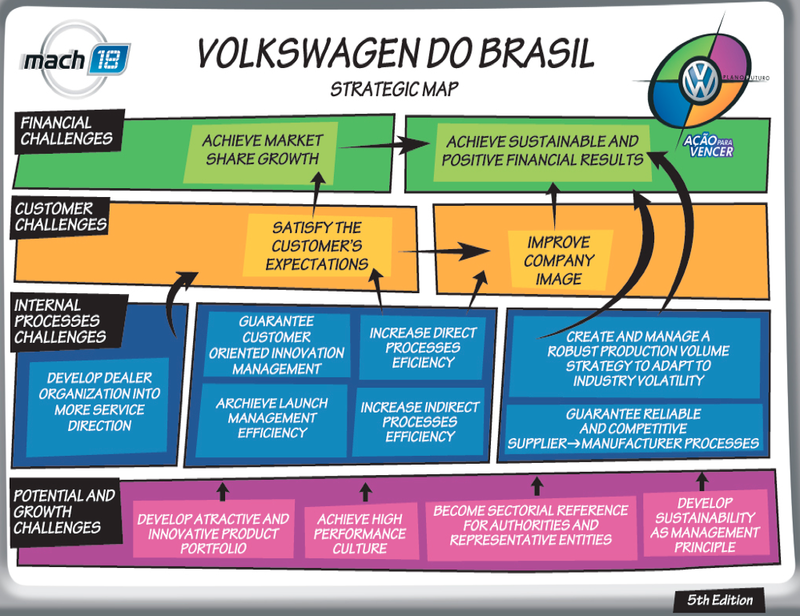 As Kaplan and Norton said in their presentation, the Balanced Scorecard methodology was used for the city of Barcelona, and those taking part in the process experienced a personal transformation. I would hazard a guess that in some respect, their “seeing-as” evolved and transformed. here in Brazil, it has also been used extensively by many Federal Government departments and municipalities, such as in Porto Alegre in the preparation for the World Cup in 2014. If we are mindful of our thinking and seeing, and are aware of seeing-as as a phenomena, we can catalyse the process of transformation. However, if we are rigid in our thinking, and unwilling to transform and develop and learn, the process will be painful. We could say we’re sensing a gap between the extant structure (what is), and the requisite structure (what could be). When we process a tension through governance, we thus end up evolving the formal structure to be more requisite – we evolve the explicitly-captured details of who does what and the authorities and expectations at play, so they reflect a more ideal state. 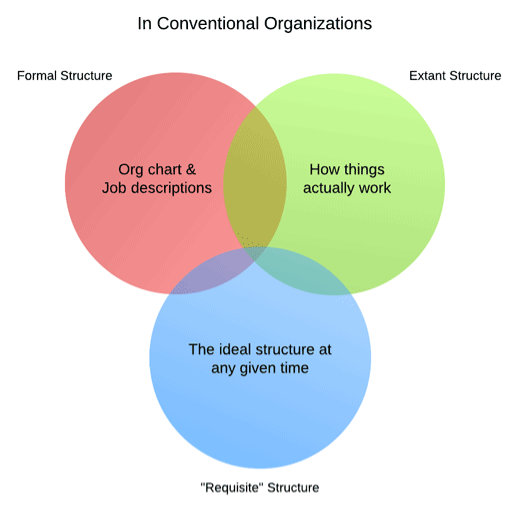 So while we do have a formally-captured structure in Holacracy, is it continually being refined and modified in response to tensions sensed by individuals as they go about their daily work, to reflect our best understanding of how we need to organize to most effectively get the work done. 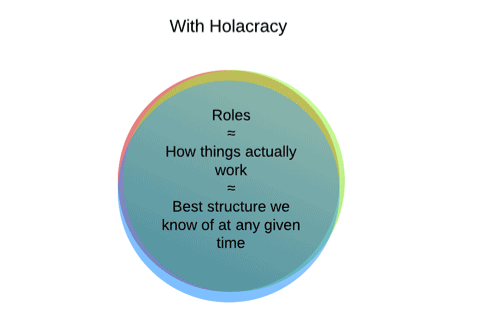 To work in an organisation structured by Holarcracy is to therefore experience a continual evolution in processes. In a Holacracy-powered organization, people do refer to their and others’ job descriptions regularly, sometimes on a daily basis—because they contain relevant, accurate, and useful clarity on what makes sense to do and expect. The way we actually work together (the extant structure) more closely reflects the formal structure at play, which more closely reflects what’s requisite – these three structures collapse and become one and the same. At least, for a time – but then another tension is sensed, and this evolutionary process must continue. 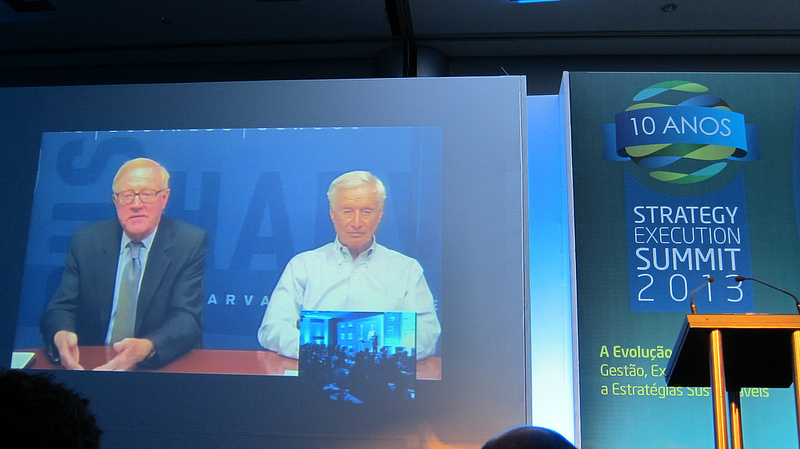 In discussing the future for Balanced Scorecard, Robert Kaplan noted how there is now far more use of co-creation in the development of strategies, in order to both build consensus and secure commitment. Dialogue and communication skills in our present and future leaders is therefore vital, but for me I see the dynamic way of seeing as intimately connected with language, how we express ourselves, and how we envisage our world. I don’t know if Gadamer and Wittgenstein would have found any common ground to discuss phenomenology, hermeneutics and language were they to have ever met (and what a meeting that would have been) but one thing I know. Through studying philosophy, not just intellectually, but in a way in which leads us towards a deeper way of seeing, and a richer understanding of language, then that will help those of us who take up roles of leadership in society to help in the transformation, to one of less conflict, and more consensus and commitment, as all of us, in all our countries, have a huge amount of work yet to do to help our own organisations and communities.